Interested in joining us to learn more…? Just about anyone can join, boys, girls, mums, dads, and even grandparents. We currently have four sections within our group. Below is a list of the different groups you may wish to join. “New Chums” are invited to visit and try Scouting for up to 4 weeks at no cost before making a decision to join – so come along and attend one of our groups to find out what enjoyment is on offer! You will be asked to complete the attached application forms and return them as soon as possible. You will not be required to pay the membership fees until either the 4 weeks are up or that you decide to enrol your child. The Joey Mob is for 6 to 8 year olds. This is the first section of Scouting and their focus in on fun, friendship and a gentle introduction into the adventures and challenges within Scouting. Joeys can earn a number of badges including Share and Care, Environment, and the Joey Promise Badge. They meet during the school term on Wednesdays (5.00-6.00 pm) at the Umina Hall, 3 Carawa Street (at the far end of the street adjacent to the parking for Club Umina). There are also their Boomerangs (Bronze, Silver and Gold) which teach them about Health and First Aid, Safety, Outdoor Scouting, Scouting Traditions, Symbols of Australia and many more. They can earn the highest award in Cub Scouts which is the Grey Wolf Award where they have to show they understand and complete the Gold Boomerang. They meet during the school term on Tuesdays (6.30-8.00 pm) at the Umina Hall, 3 Carawa Street (address as above). The Scout Troop is for 11 to 15 year olds. With an almost unlimited range of activities. Scouts receive expert instruction in a wide variety of outdoor skills, camps with friends, make decisions and work as part of a team, developing their skills, playing games and having fun, become familiar with equipment and the right way to use it. You’ll go on a few or join thousands of boys and girls for fun and adventure at a national Jamboree. They meet instead at the Ettalong Hall, Cnr Picnic Parade & Maitland Bay Drive, Ettalong on Thursdays (7.00-9.00 pm). Venturers – 15 to 18 years of age. Bored? Feel like doing something with your life? Don’t know where to start? Try Venturer Scouts. It’s a do-it-yourself mix of fun, adventure and personal challenge that will bring you together with other young people who feel the same way. You may find yourself exploring wilderness Australia, camping above the snowline or diving on coral reefs. You could be abseiling into a limestone cave or climbing a sheer rock face. Perhaps you’ll learn white water kayaking or ride your mountain bike on an expedition across real mountains. They meet at the Ettalong Hall, Cnr Picnic Parade & Maitland Bay Drive, Ettalong on Mondays (7.00-9.00 pm). All sections have good leaders who have great programs for their respective sections which encompass all of the ideals that Lord Baden-Powell, The Founder of Scouting, would wish for. Term fees: $ 86/term or $8.60/ week (arranged with section Leader), this pays for insurance, facilities (hall), equipment, badges etc, it will also depend on when they start in the term period. Term fees are required to be paid by week 2 of each term. Once your child has decided to join and the fees have been paid they must be invested into the Group. An investiture ceremony consists of the child making their Scout Promise to their Leader. The promise varies slightly depending on which section they join. Family members are invited to attend the investiture and take photos as this is an important part of the child’s life in Scouting. The section leader will advise you of when the investiture will take place. 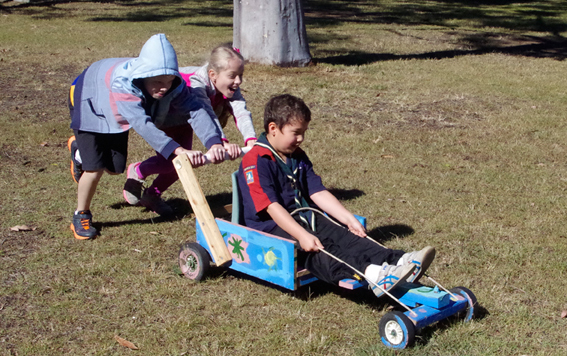 Hello and thank you for visiting our new Broken Bay Scout Group website.